What to do on the last day of vacation with a kid who loves to help cook, a fridge stocked with whole milk and eggs, and a pantry with cocoa, chocolate chips and sugar? Make chocolate pudding, of course! Pudding ingredients are basic and usually on-hand, and Aldie and I shared a wickedly good afternoon making this batch, based on a recipe from The Gourmet Cookbook. Alden loves to help in the kitchen, not only with the cooking but with the cleaning up of the pots and pans as well. This homemade chocolate pudding is easy to quickly put together, the only tricky part is slowly tempering a beaten egg with a hot cocoa mixture. By tempering the beaten egg, we slowly heat it up by adding a small amount of hot cocoa mixture to it at a time. This way it the egg doesn’t cook and curdle in the chocolate pudding. Then, you need to pour the chocolate pudding into individual ramekins and chill it for a few hours before it’s officially ready to eat. If you like chocolate pudding, check out our other chocolate pudding recipes! 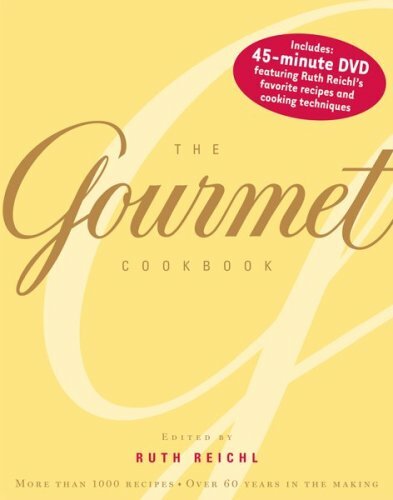 Recipe from The Gourmet Cookbook. 1 Heat cocoa milk base: Whisk together the sugar, cocoa powder, cornstarch, and salt in a heavy 2-quart saucepan. Bring to a boil, whisking constantly, and boil, whisking, until pudding is thick, about 3 to 5 minutes. Remove from heat. 2 Temper the egg: Immediately beat the egg lightly in a medium, heat-proof bowl, such as a hard plastic or ceramic mixing bowl. Very gradually add the hot chocolate mixture to the egg, whisking constantly. 3 Add the chocolate chips: Whisk in the chocolate chips until they are melted and the mixture is smooth. 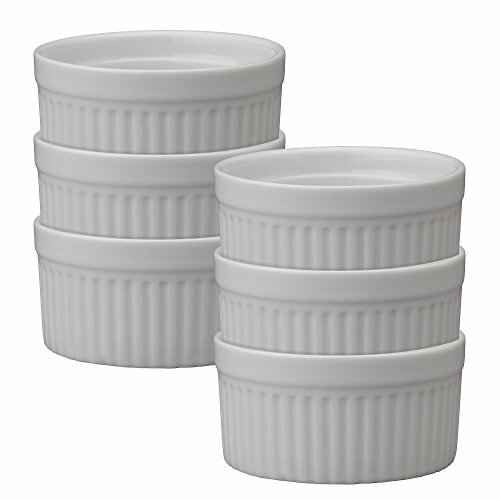 4 Pour into ramekins and chill: Pour the pudding into the ramekins or cups. If you want, cover the surface of each of the pudding cups with some cut out wax paper to prevent a skin from forming on the top of the pudding. Refrigerate, covered, until cold, at least 2 hours. Hello! All photos and content are copyright protected. Please do not use our photos without prior written permission. If you wish to republish this recipe, please rewrite the recipe in your own unique words and link back to Chocolate Pudding on Simply Recipes. Thank you! This is my go-to chocolate pudding recipe, or my go-to chocolate recipe, for that matter. I use dutch process cocoa because that’s just what I have, and I’m not sure if it’s my sweet tooth or if it’s because dutch process is stronger but I add an extra 2T(!) sugar and no chocolate chips, and it’s still a pretty intense chocolate flavor. hello maam…can we make this without eggs? I did not like this recipe. I thought it was way too chocolatey! I think it would have been fine w/o the choc. chips! I added a lot of whipped cream to the chilled product to drown out the choc a little. Hello! So we had a simply recipes dinner yesterday…I made your tuna patties with your oven-baked sweet potato and we finished with these yummy chocolate puddings! Made this tonight—Thank you!! It is really perfect. Just what I was looking for. I was at the store and had a funny feeling I should get whole milk. When I got home, I craved chocolate. So I searched for pudding recipes and found yours. So easy and took only minutes. Made it. Loved it. This is exactly what I wanted from chocolate pudding. If you have consistency trouble, make sure to put it back on the stove after adding the egg, get it up to 140F (in my case it took about 20 seconds–might take a little longer if you’ve let the mixture cool, or if you’re using a very cold egg), then take it back off the heat and stir in the chocolate. I really love the way you make the chocolate pudding. But I saw a hot chocolate pudding (I’m not sure if that’s a chocolate pudding) because it’s hot and the chocolate pudding is cold. It has a chocolate syrup inside of it when you slice it or break it. What do you call that? I will never make boxed chocolate pudding again. Ever. Next time (and there WILL be a next time) I think I’ll add a little bit more corn starch as it does come out a little thin, but the flavor is excellent. Very simple to make but tastes so decadent and chocolatey. My daughter and I just made this. I’ve never made pudding from scratch before. It was toooo easy, now I can make it all the time. Dangerous! Thank you for all the wonderful recipes and pictures. I love your site. Happy cooking! First of all HAPPY 2011! I can’t believe I’ve lived almost 58 years and have never made real chocolate pudding before today. Wow!!! was it ever good. I had made a Pavlova for New Years and had egg yolks left over so I used them instead of the whole egg. The egg yolks had a teeny “skin” on them (even though they were in a covered container so I beat them with a fork and a couple of spoonfuls of milk and then strained them before adding the the hot pudding to it. Actually I temperred the yolks and then added them back to the pudding in the pot and cooked and stirred for another minute on low heat. It set up just fine in the fridge and the result was outstanding. It was wonderful and creamy and oh so good. My Dad was over for dinner and he loved it too as did my husband. I usually use Dr Oetker pudding mix and this was no more difficult but oh so much better. Thank you! disappointed that it doesn’t have a custard texture. Can you advise us in what we are doing wrong? Looks great as I wait for it to cool. The consistency is smooth – more smooth than I expected with an egg added. I was craving chocolate pudding the other night, but didn’t want to use instant pudding. Searched the web, found this recipe, made it and it was delicious! I tried making this for the second time today; increased it to 2 eggs but still ended up with tasty but liquid-y pudding..I just bought the eggs today so I’m assuming they’re fresh (from Trader Joe’s). Tried putting it on the stove again, hoping it’ll turn to custard but that didn’t work either. Is it intended to be like thick chocolate milk instead of gloppy? I’m thinking of just popping the ramekins in the oven and turnin it into chocolate purin (you probably know what that is :) ). The pudding tastes great but I too had problems with its consistency. I placed it back on the stove (a day later when it didn’t set) and added some more constarch and milk. The next time I think I may forgo the egg as it did have a pudding texture before I added it. Thanks for the recipe! Been hungry for chocolate pudding for several weeks. Kept forgetting to pick up a pkg of mix when I was at the store. My am I ever happy I am forgetful. This recipe was delicious. Came out nice consistancy. I got to lick the pan and the mixer thingy. (Husband not home yet and children all grown up and away from home.) Next time the grandkids are here we will have to mix this up. Just as easy as the box pudding but OH SO MUCH BETTER. Thank you for the recipe and all the good comments. This was excellent! It tastes just like the chocolate pudding that my mommy used to make, and brought back many happy memories. Thank you for sharing this recipe. Amazing recipe. The pudding tasted perfect as cooked in bakeries. Thank you so much for posting such an easy and wonderful recipe.